Marcos Vizcarra is the 2017 recipient of the Peter Mackler Award for Courageous and Ethical Journalism. 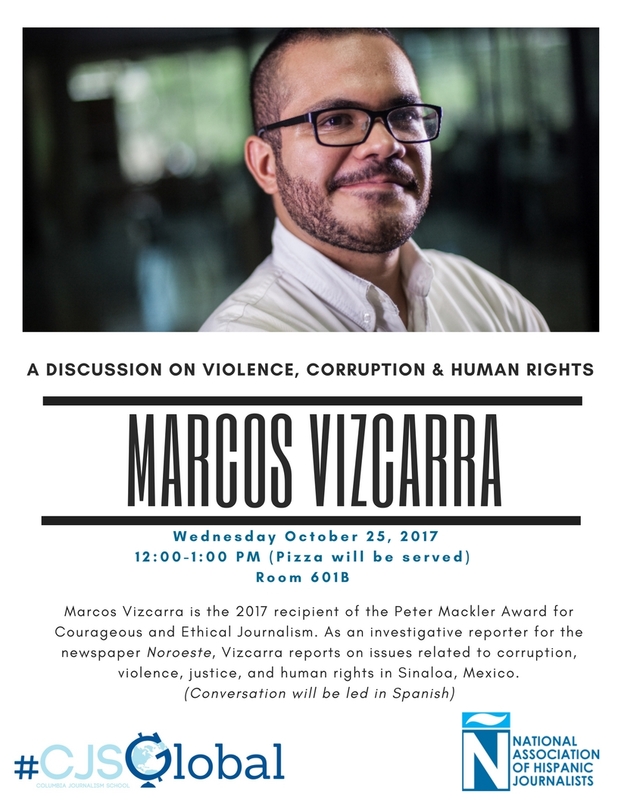 Join him on October 25 for a conversation about his work and the challenges journalist to report on corruption, violence, and human rights in Mexico. Time? 12:00 to 1:00 p.m.